Free Nights Offer – Get up to 2 complimentary nights – Stay 7 nights pay for 6, or stay 10 nights pay for 8. Please contact us for further details. The Maia Resort stands in a lavish and green setting of the island of Mahé, reaching down to the Anse Louis Beach which stretches down to azure waters. 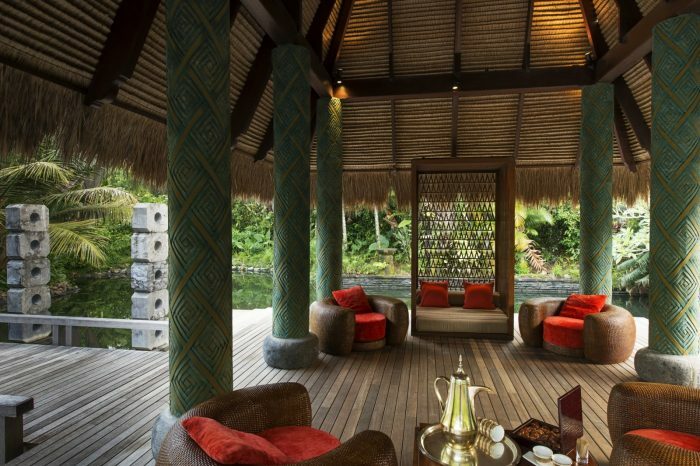 A peaceful and private resort, Maia offers just 30 villas for holidays in Seychelles. All villas have spectacular 180-degree sea views, whether you choose one of 19 Ocean Panoramic Villas or 11 Maia Signature Villas, all furnished and equipped to the very highest of standards. Each villa at the Maia Resort offers a private infinity pool. When not in your state of the art villa, you’re able to spend your time dining in A Taste of Paradise, the Tec-Tec Restaurant or the Sunset Pool Bar. Maia has a boutique spa, private dining spaces for sunset meals on the beach, and a fitness centre with the very latest exercise equipment. Immerse yourself in the beauty of the gardens within the resort or enjoy a customised boat or helicopter excursion to see the sights beyond. All this, and a private butler service to ensure that your needs are met for the duration of your stay. Free Nights Offer – Get up to 2 complimentary nights – Stay 7 nights pay for 6, or stay 10 nights pay for 8. Relax, transcend, meditate, with Maia’s signature boutique spa, and exclusive Omorovicza treatments. Here the highly trained therapists work there magic. Some of the above may incur additional charges, for any further details contact one of our experts. The Maia’s villas are the perfect way to enjoy a romantic and intimate honeymoon. The little touches can help make your stay truly memorable. From a romantic meal on the beach or in the secluded dining pavilion for two. Try the Maia Signature Massage and the 20 dancing fingers massage with 2 therapists. Our Honeymoon planners have access to the latest Honeymooner Offers for the Maia Resort. Call us or complete the Honeymoon Quote form for more information.